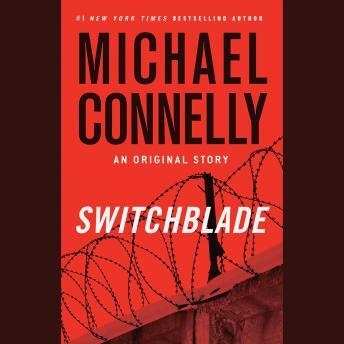 In "Switchblade," an anonymous tip puts Bosch on a case that has remained unsolved for decades, the vicious stabbing of a teenage boy whose body was found in an abandoned Old Hollywood restaurant. Cold cases are often the toughest: With no body, no murder scene, and no fingerprints, Bosch nevertheless gets lucky when DNA evidence from the murder weapon points to a known killer. But the DA insists that science alone is not enough - he needs the case to be bulletproof before he'll take it to court. Determined to speak for those who can no longer speak for themselves, Bosch has one chance to wrench a confession out of a cold-blooded killer, or risk letting him walk free for good. In this gripping, never-before-published story by "master of the crime thriller" (Huffington Post) Michael Connelly, Detective Harry Bosch quenches his thirst for justice and shows why he is "one of the most popular and enduring figures in American crime fiction" (Chicago Tribune).